Makes it possible to read a paperback using one or no hands. 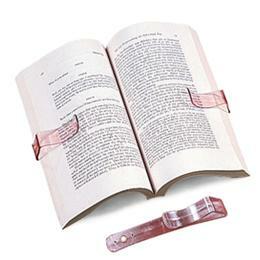 Thefolding clip holds both the left and right sides of paperbacks andallows easy flipping of pages. Accommodates any thickness of paperbackand, when folded, can be used as a bookmark.